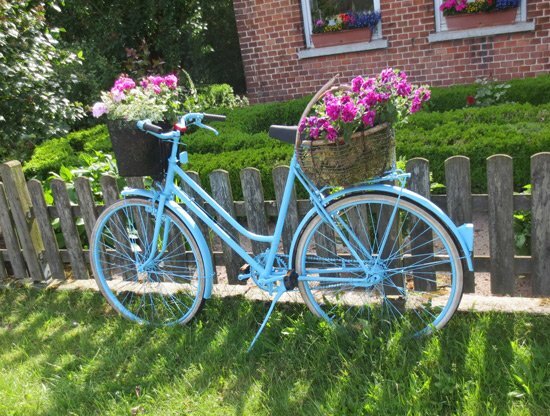 Creative recycling garden ideas add a dash of surprise for a style all your own. Your garden feels more than one ready-made package delivered by a garden centre. 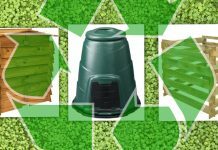 Using recycled materials is a great way to personalise your outdoor space and add the character that is so often missing from out-of-the-box designs. As well as a sprinkling of charm you’re giving a nod to the importance of sustainability in today’s world. Alongside each item here you’ll find links to tutorials so you can try your hand at each idea, or you can order your made-to-order creation from Etsy. 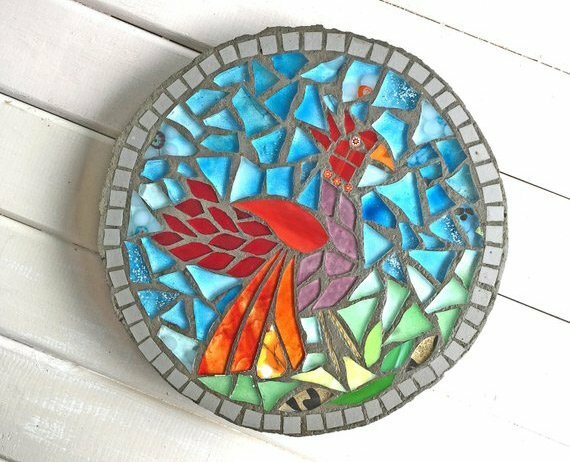 Mosaic birdbath made to order for £65 from Etsy. Or take a look at this easy-to-follow tutorial. 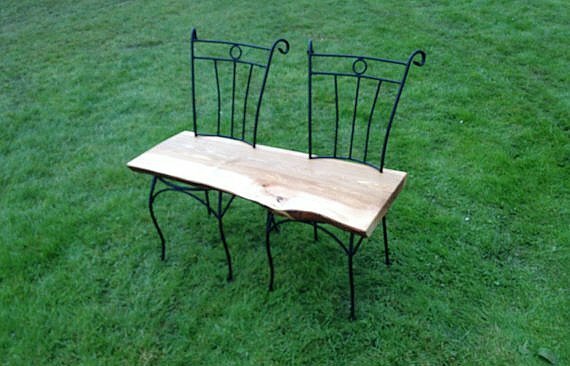 Upcycled garden bench made to order for £225 from Etsy. You can find details of how to make a bench from dining chairs in this tutorial. 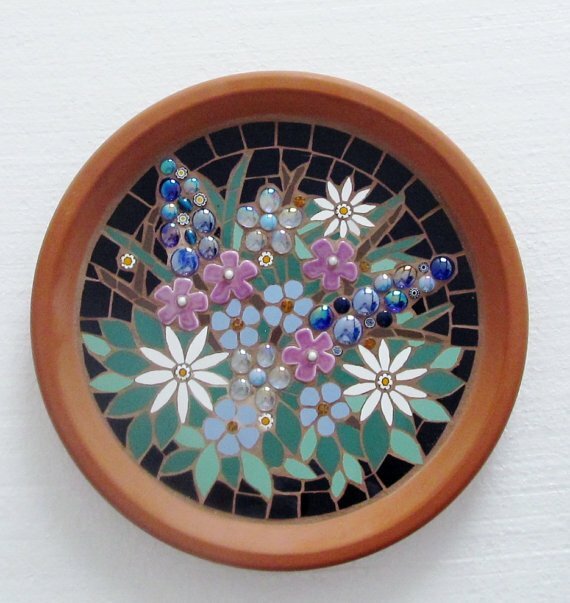 Mosaic stepping stone handmade for £45 from Etsy. Isn’t this too beautiful to step on? I’d put it on my wall. Here’s a great video tutorial of how to make mosaic stepping stones. 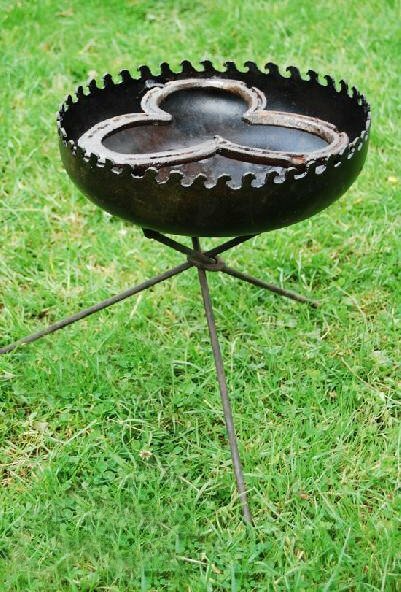 You’ll find lots of tutorials online for a fire pit but none for anything that looks this good. However you might like this tutorial for a barrel barbecue. 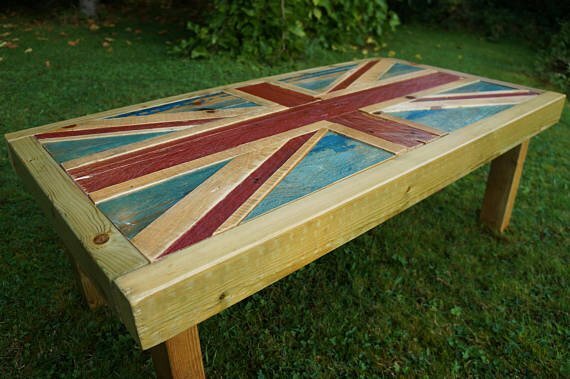 If you like pallet ideas take a look at these tutorials for incredibly finished garden tables. 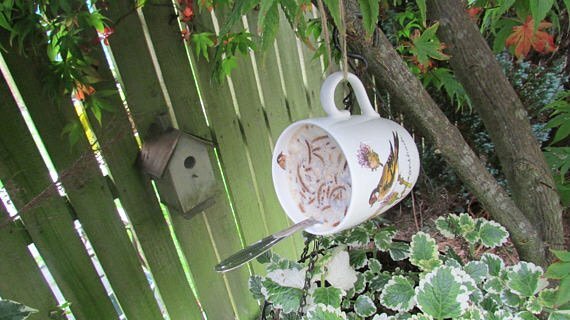 Hanging bird feeder mug with homemade suet £8.95 from Etsy. This looks like a fun tutorial that would be great for kids too. 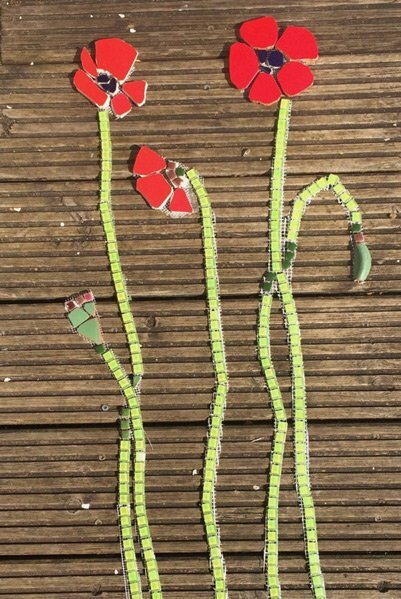 This is an excellent tutorial for making a mosaic on mesh so you can easily transfer the finished piece to your wall. 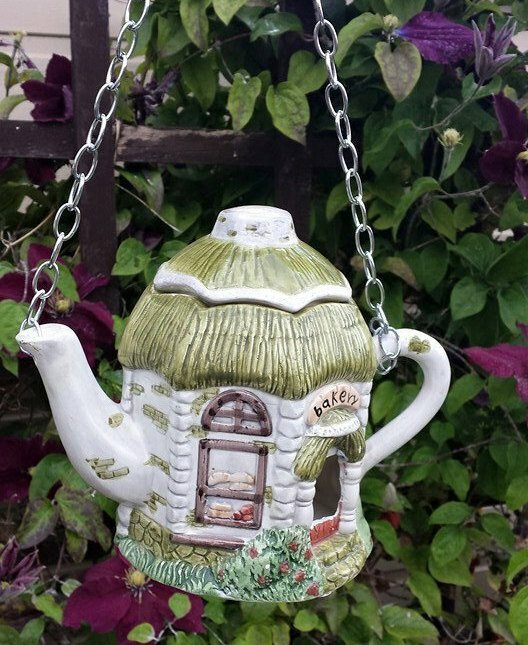 Handmade teapot birdhouse, lots of designs from £17.99 from Etsy. You might enjoy this fun video tutorial that shows you how to make a teapot birdhouse for yourself. 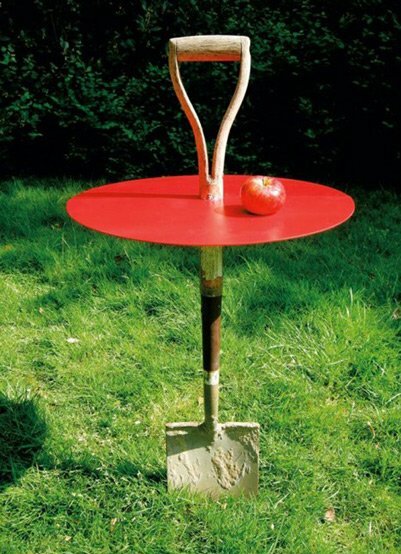 Re-purposing old tools has to be one of the most apt recycling garden ideas. The result always adds a new level of charm to the garden. You may have one or two old tools at the back of your shed but you’re sure to find more if you forage through markets and junk shops. 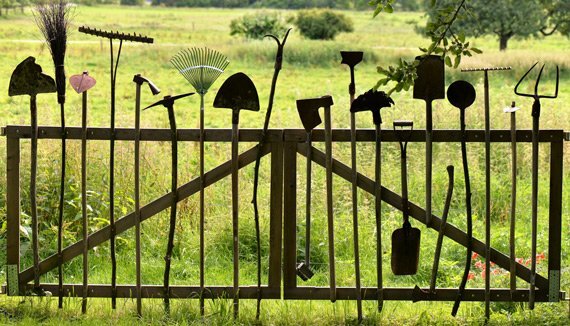 If you find yourself with a stash of old garden tools that you don’t know what to do with take a look here for some more repurposing ideas. This charming table was created by the Swedish designer Fredrik Paulsen. Look around for items that weren’t meant to be sculptural masterpieces. Of course it works better with something like an old bike that’s oozing with charm rather than the latest model just off the shelf. But that means if you don’t have your own bicycle you should be able to find a good example for next to nothing. You don’t have to find the sort of chest used by pirates 🙂 Any old wooden box will do. Transform your find with an authentic aged feel using this tutorial. 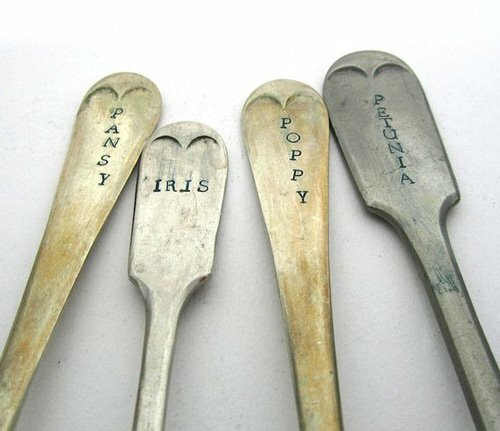 Vintage cutlery garden labels for £12 from Etsy. Here’s a tutorial to make your own cutlery garden labels. If you go down this road you’ll need a Letter & Number Stamp Set. 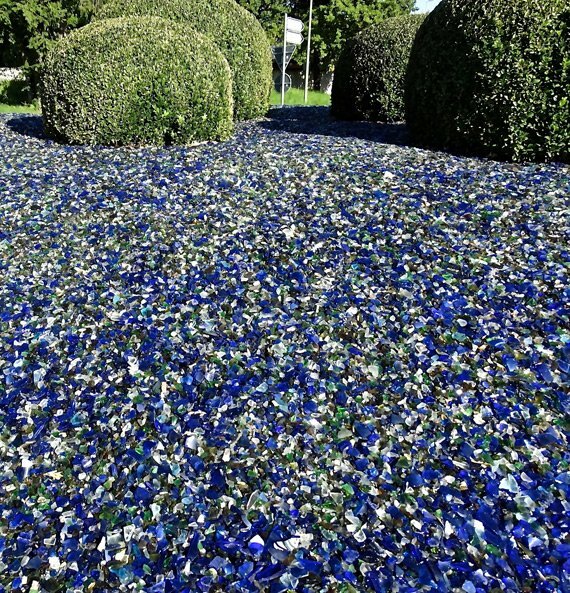 Now everyone can lay their hands on some broken glass… but I’m not sure how easy it would be to find blue glass and the more you need the more you’ll have to search. It might make sense to mulch only one or more containers unless you can find a good stock of bottles. 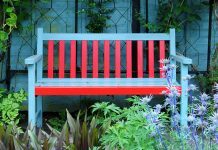 However much you use, the result is sure to be striking and the colour will add a special zing to your green space. Add a few of these touches and as well as making your environment more sustainable it will feel a little magical too. Every garden could do with a little whimsy. 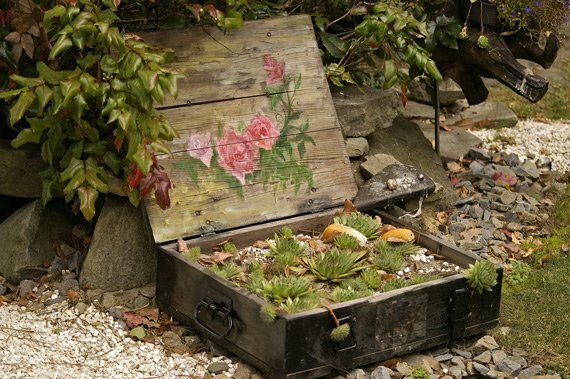 Use creative recycling garden ideas to transform it from the same off-the-shelf space that everyone has to a unique place of charm and character. Then enjoy it!